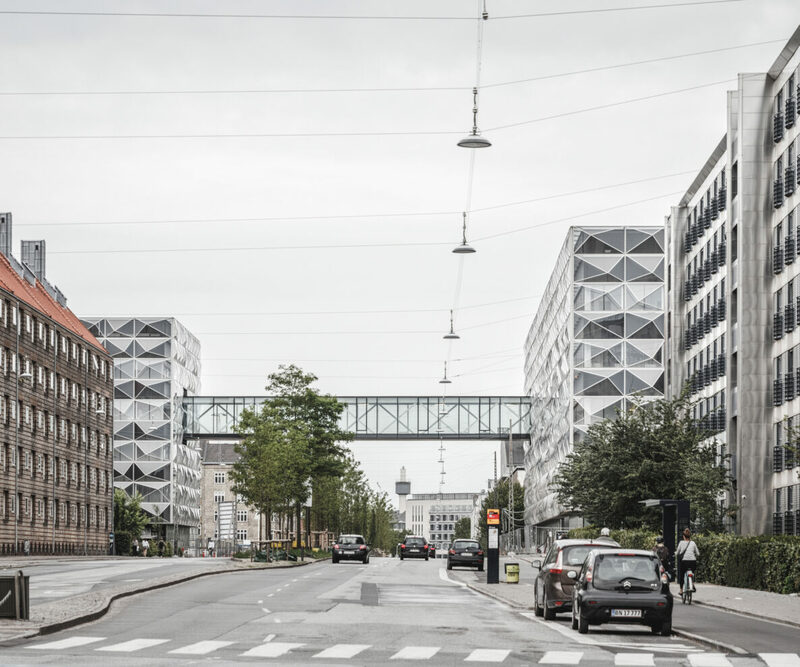 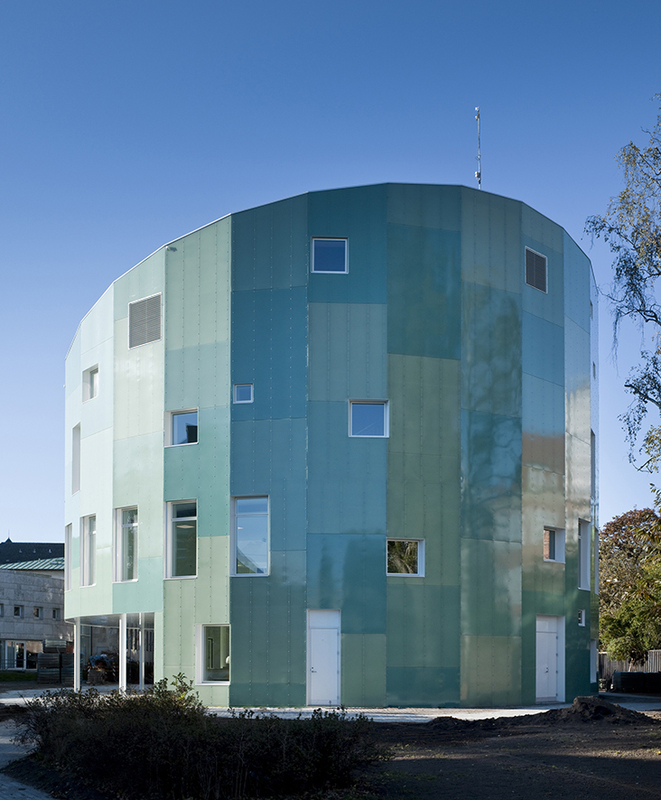 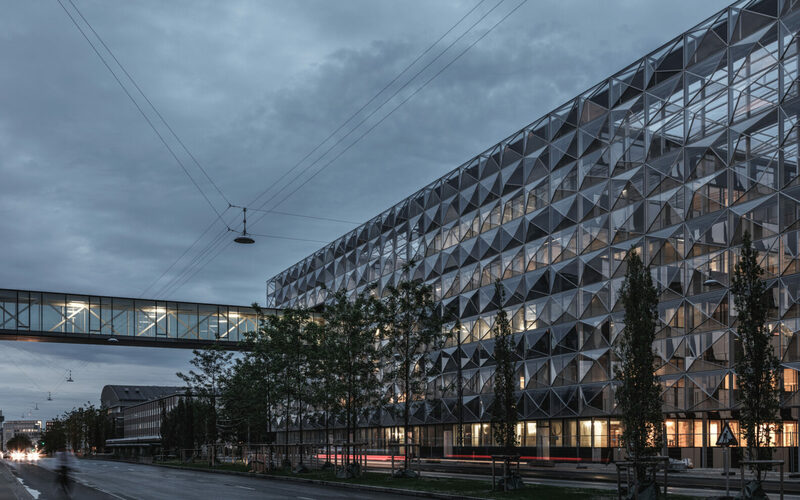 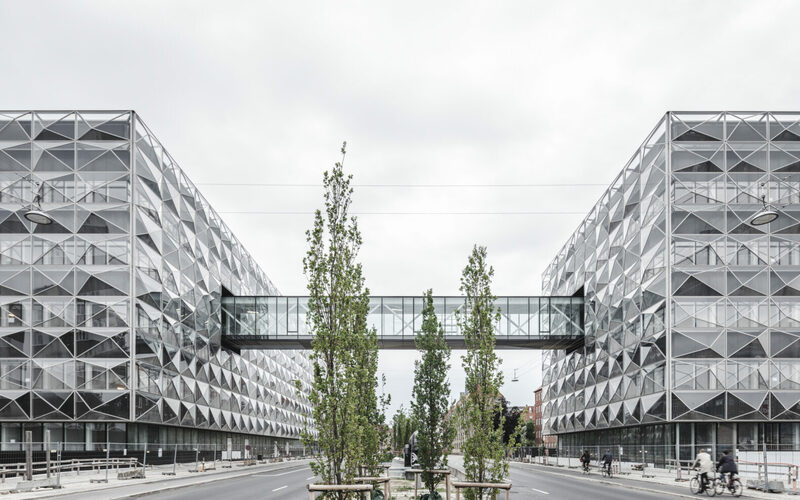 Connected by a skywalk across Jagtvej, one of Copenhagen’s main roadways, the Niels Bohr Building is an iconic home for the Faculty of Science at University of Copenhagen. 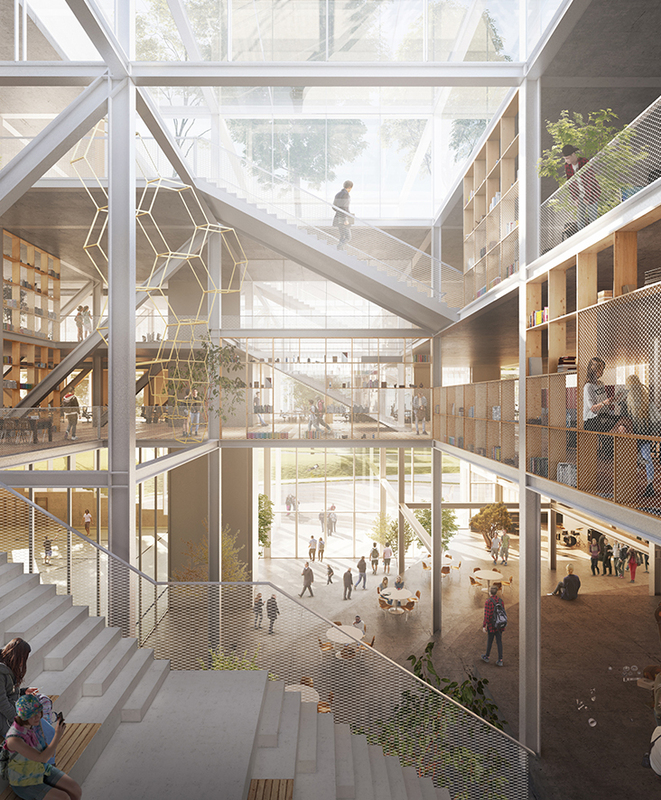 Here experts from the worlds of physics, chemistry, mathematics and computer science will come together in a transparent research community. 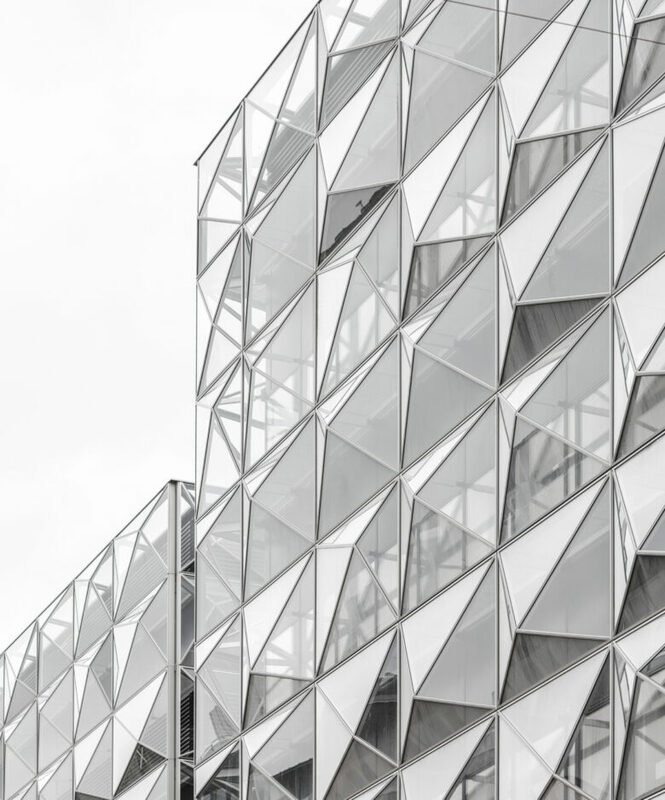 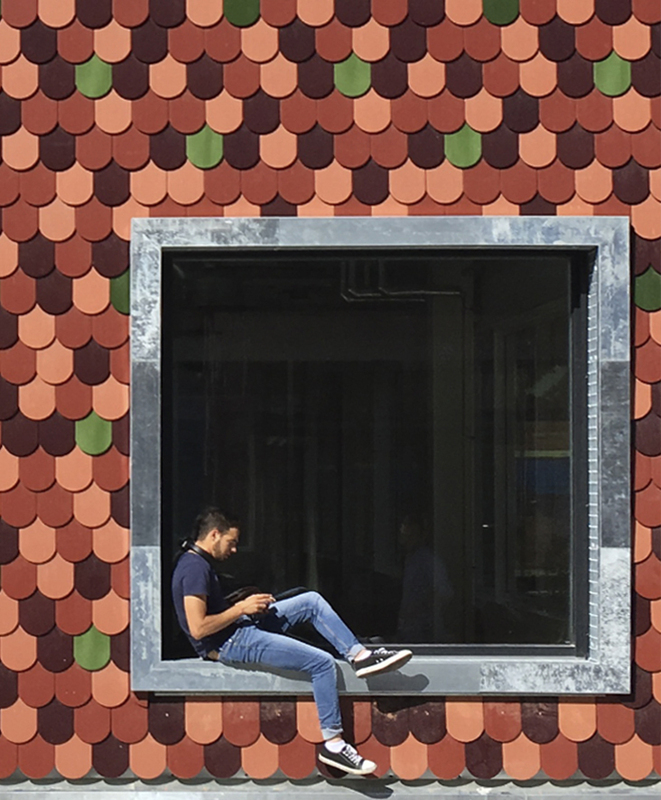 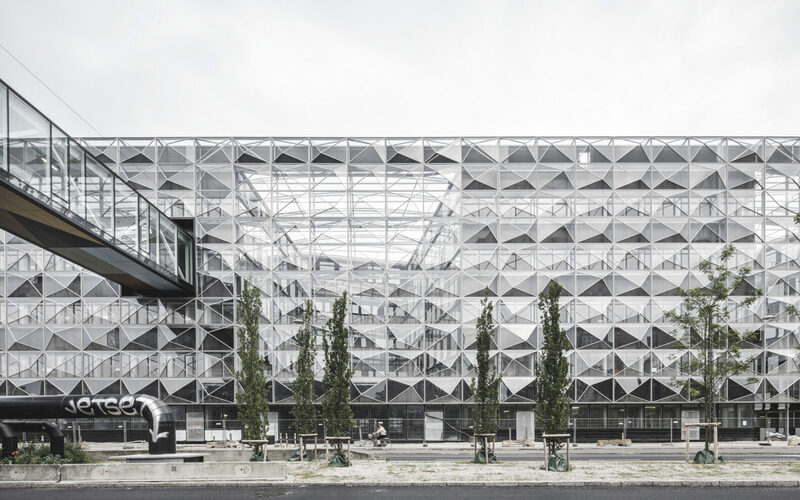 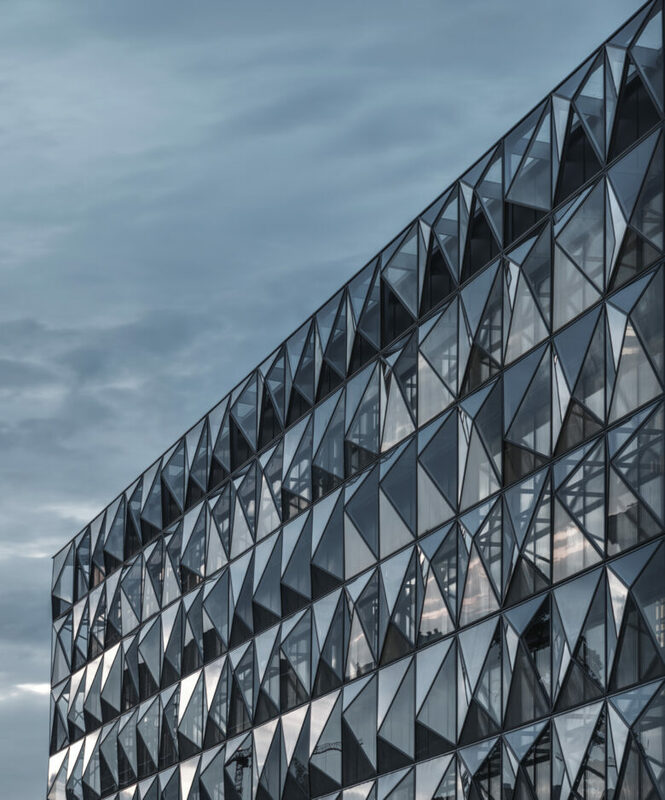 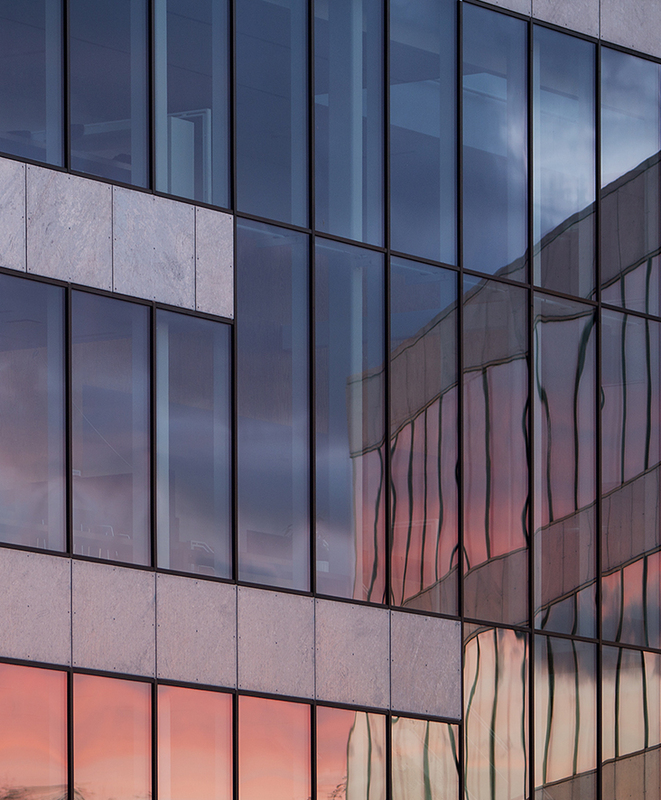 The building’s glass façade consists of custom-made ‘pixels’, designed according to a geometry pattern that make the building come alive as it interacts with the light during the day. 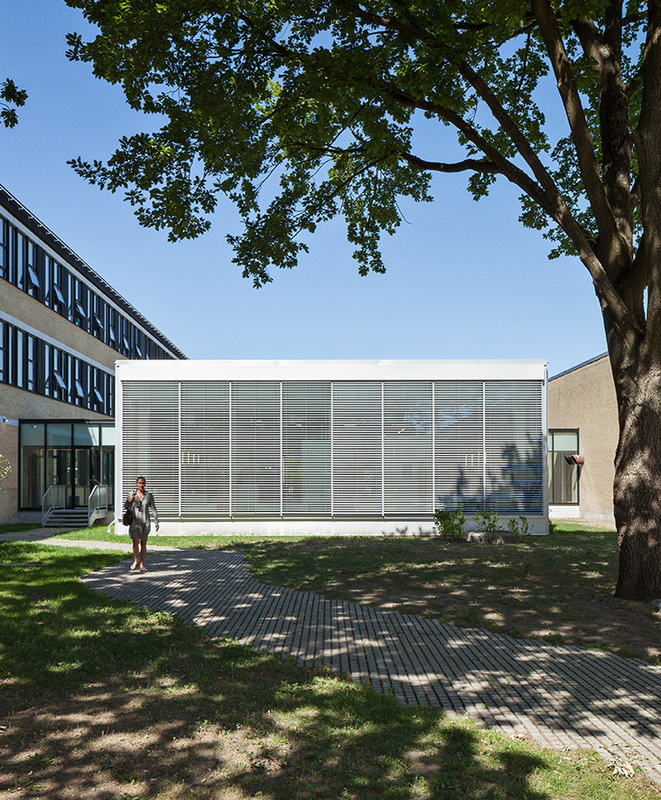 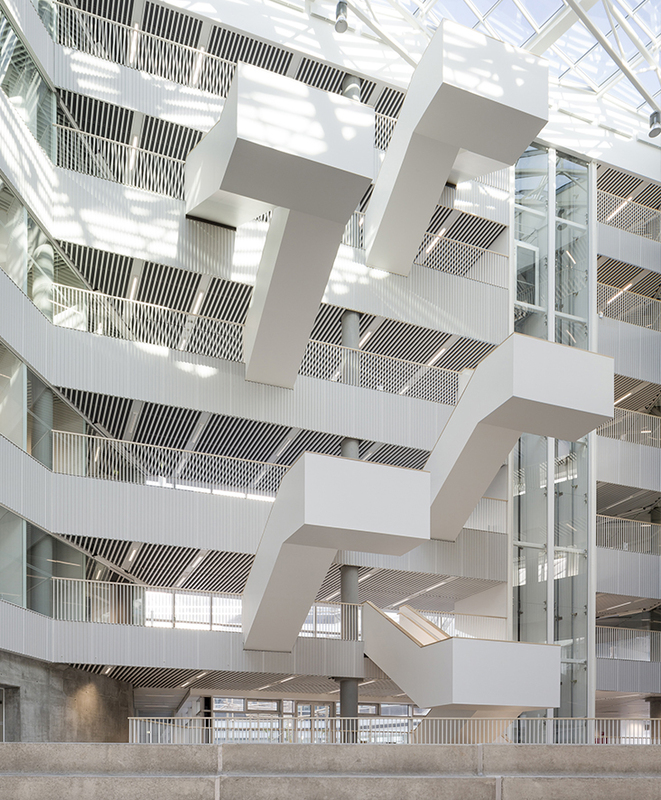 The heart of the building is the Troposphere, an open atrium shaped as an infinity symbol, where researchers and students can meet in a vibrant and engaging environment, created for innovative, interdisciplinary collaboration. 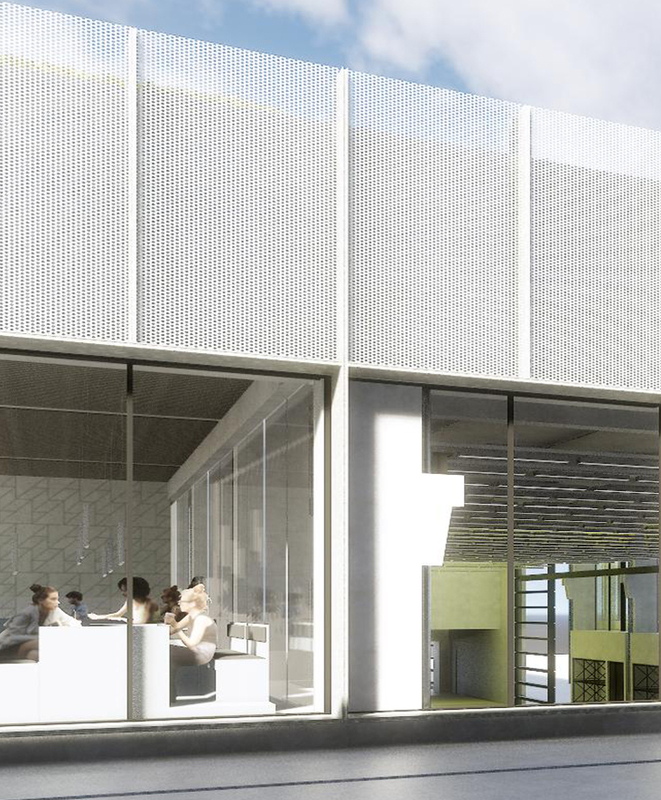 A wealth of social zones for informal meetings further strengthens the focus on collaboration. 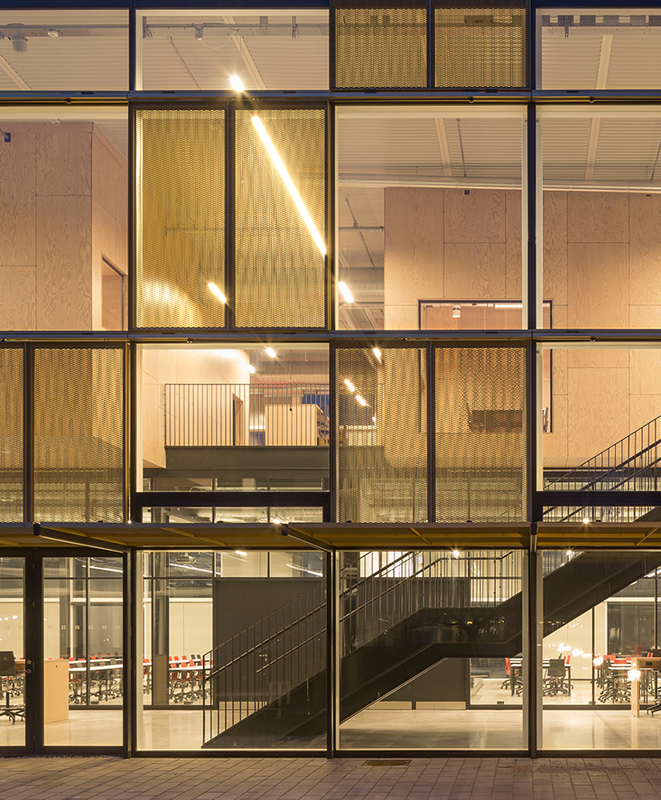 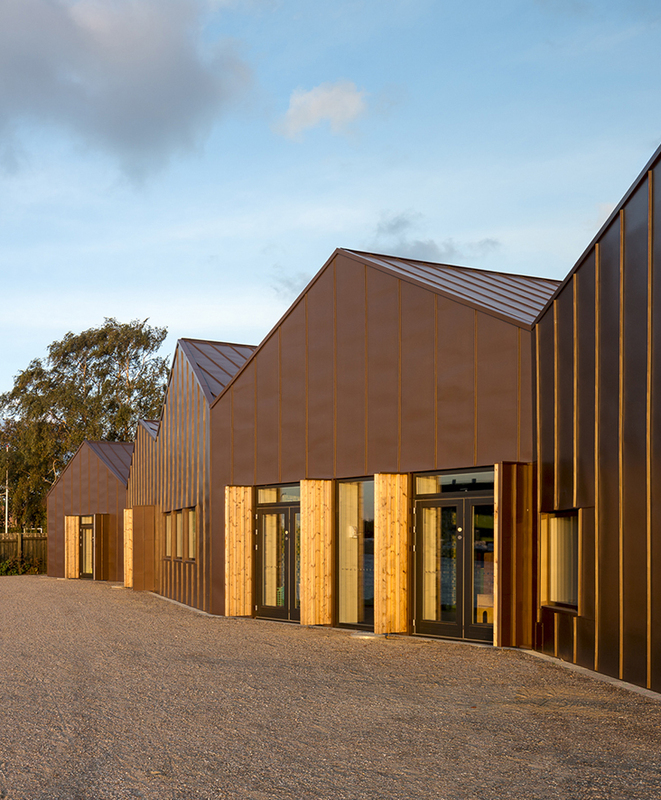 The departments are organised in towers around the Troposphere, which naturally divide the building’s formidable programme into smaller scale units. 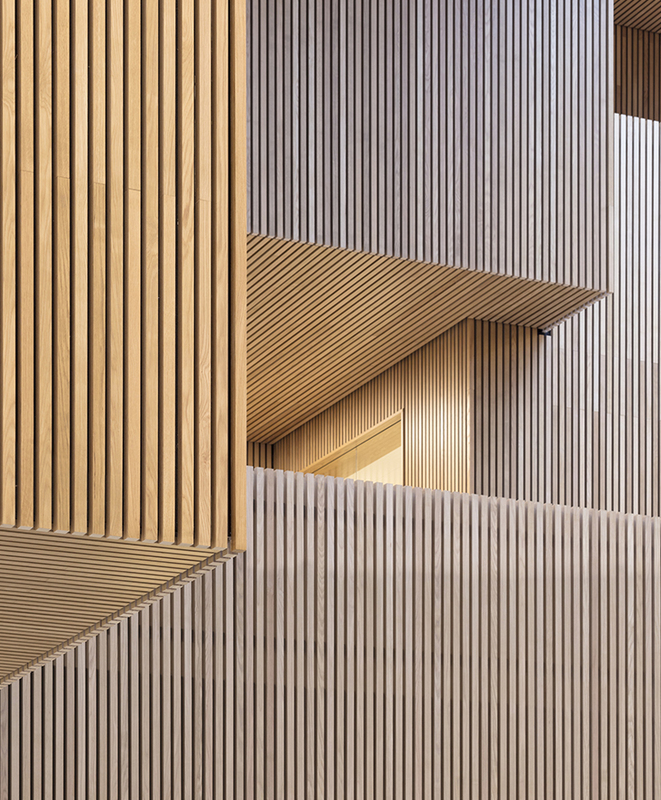 The design of each tower is unique, using different materials and colours for coffee spots and kitchenettes to create a sense of identity and support way finding.